How Do RV Leveling Blocks Work? RV leveling blocks are key to keeping your rig as level and even as possible. 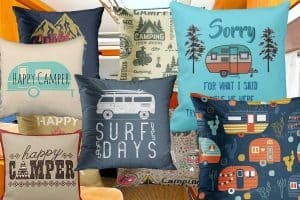 This means you’ll enjoy a more home-like environment while camped. Not only is this more comfortable for humans, but your appliances will also appreciate being entirely horizontal. We set out to explore the world of RV leveling blocks and here are the results of our in-depth research. In simple terms, RV leveling blocks are plastic blocks that you place under the wheels of an RV to keep the rig entirely balanced and horizontal. These blocks will bring your RV to a proper level point. 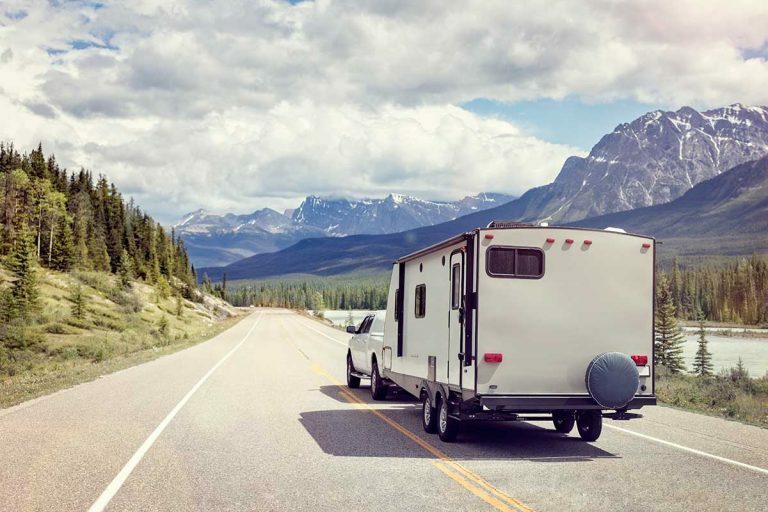 Typically, you’ll back up to place all the tire(s) on the leveler, allowing the RV to remain in place and level the entire time you’re parked. No one wants this. That is why you want to use proper leveling blocks, and we’re going to tell you how. 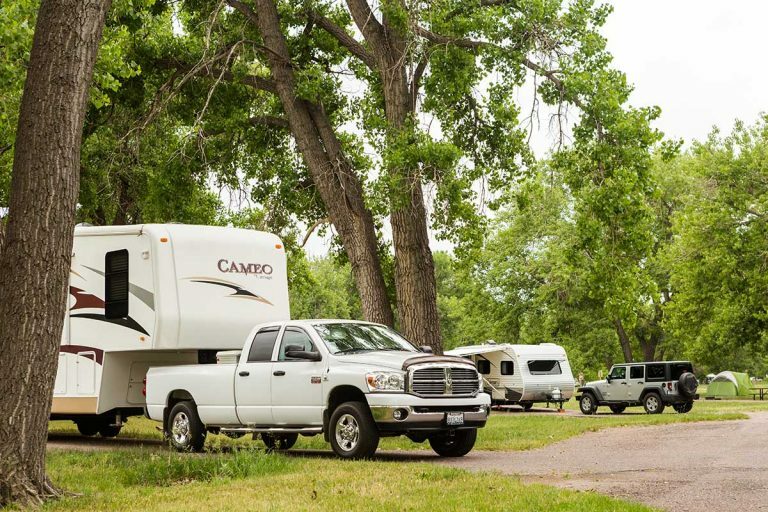 You’re likely not going to be on entirely level ground when you park an RV. Many campgrounds are level in several spots but they’ll also have unlevel areas all over. 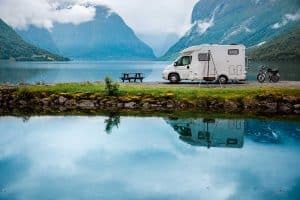 However, one might come across this more often when they choose to go away from campgrounds and park their RV in the open wilderness somewhere. When the rig is not level, you quite literally could be opening up cabinets, drawers, or doors on an RV and have stuff fly at you. 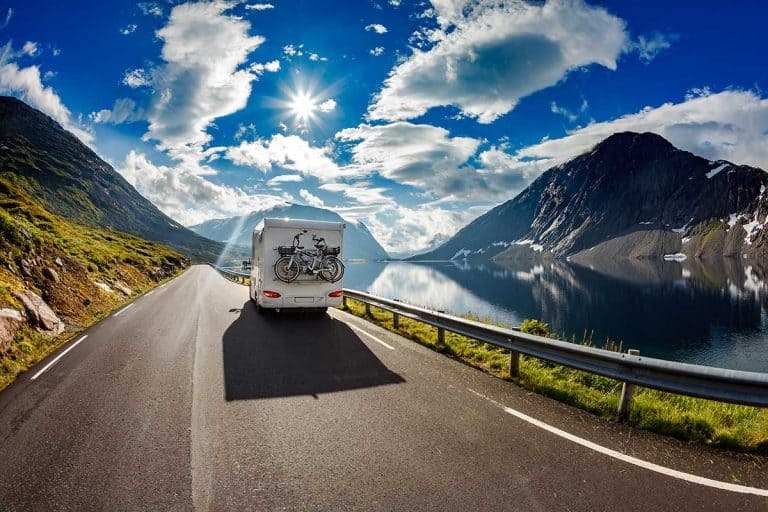 Not leveling your RV risks personal injury as well as the possibility of broken or destroyed/malfunctioned items. It can affect water levels, make it hard to cook or use the restroom, and even cause sleep issues. 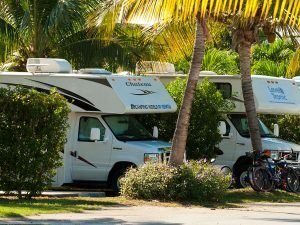 Hydraulic levels or jacks included in RVs allow people to park wherever without worry of the ground they’re on. Since there are models that don’t include them, RV leveling blocks will do the job for you and make sure you level up your RV wherever you end up parking it. RV leveling blocks will give you peace of mind that everyone truly needs, especially when you turn off on vacation. The best RV leveling blocks will be the kind that is both easy to use and fairly priced. A common issue people have is the guesswork that goes into setting them up along with how tough that can be for certain blocks. This made us feel that it would be smart to bring up the better RV leveling blocks and explain how they work, along with their prices. First up is the easy to use Anderson Camper Leveler. They look like little ramps of sorts and are quite literally made to fit your tire inside of them as comfortable as a glove. All you have to do is back-up and put the tires on the blocks, then lock it in place with the added piece. They remove the guesswork and keep your tire locked in place. Seriously, it’s that easy with them. They even include a Lifetime Warranty from Anderson at most places you’ll buy these blocks from. Be aware, however, that they can only sustain a weight of 30,000lbs. Meanwhile, another popular leveling block model is the Camco Leveling Blocks. They are relatively easy to use too. 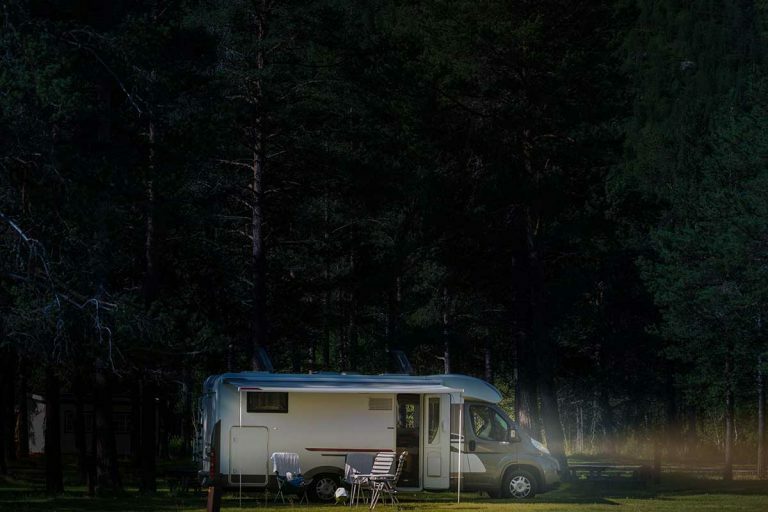 They can be known for involving a bit of guesswork, but they are thin enough to get as many in as you need to get your RV level without anything going overboard. You simply have to stack the blocks until the pile gets to the required height. You’ll simply back-up on them once they’re properly in place. They are insanely light and portable too, on top of being reasonably priced. Despite the thin nature, they’re incredibly durable and even come with a one year warranty. Finally, the type most often referred to by many RV enthusiasts are the Lynx Levelers. To some, they look like bigger model LEGOs than RV leveling blocks. However, they look this way due to needing to stack them on top of one another. They also have the LEGO-looking popped-up circle on top to help your tire remain in place during wet days or nights. They also contain a back-ramp block to prevent the tire from rolling off too. They work the exact way the Camco model does, except they can handle a weight of 40,000lbs. Some RV’ers also think they’re made slightly better. It’s not shocking RV enthusiasts recommend them so often, for sure. Lynx also happily includes a 10-year warranty for the product. Since leveling blocks “simply” add some material under your RV wheel, many RV’ers are tempted to just create makeshift levelers instead. It saves them money, but it can be risky and may not always work. One of the easiest things people do is bring a shovel with them on trips. They’ll dig areas around their RV’s tires to hopefully get everything level. This is much safer as a homemade concept, but it’s not 100% successful. You also risk your tires getting stuck in random holes. Some people use big bricks that they can stack on top of each other to make sure they get things level. Others use hard and thick wood to help keep their RV level too. However, these homemade RV leveling blocks are not always useful and they can break depending on the weight of the RV. Homemade RV leveling blocks also run the risk of popping the tires if they have any pointy bits. With that in mind, if you’re serious about RV’ing, spending a little bit of money is worth it in the long run. Your RV as well as what is inside of it, often you and your family, will remain safer this way. Plus, the best RV leveling blocks are really not that expensive. The essentials are the same for any type of leveling block you could be using. 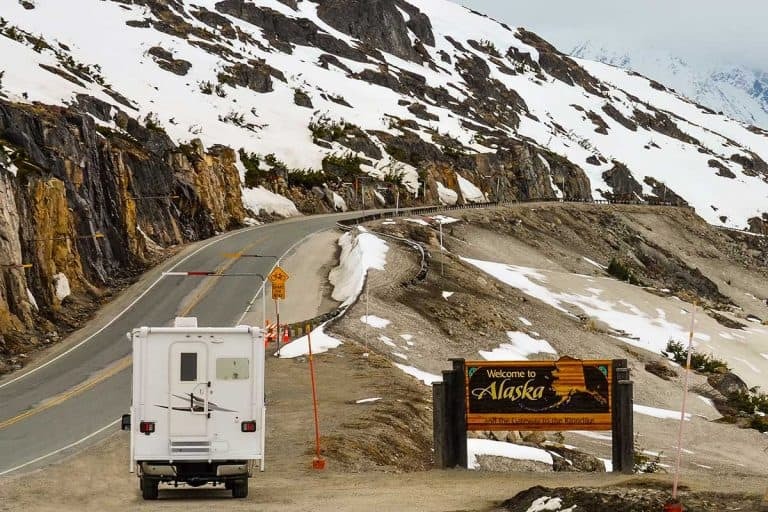 You need to park the RV ahead of where you want it to be. Then place the leveling blocks behind any wheel that needs some lifting, and adjust their height by creating a pyramid of sorts. If the height of a single block is enough to level the rig, then put just one layer behind that wheel. If you need more, place one layer of blocks on the ground, and then a shorter second layer. The idea here is to allow the RV to gradually climb to the final higher level. Regardless of which brand you use, there are some things to keep in mind. The first thing you need to do is move any large rocks, sticks, or objects out of the way. Make sure they’re not going to be near the RV leveling blocks so that you can level this stuff up right. 2. Never use leveling blocks on all four wheels. One wheel needs to be on the ground at all times. Leveling blocks aren’t meant to offset mud. You only need them to level the rig so that all four wheels are positioned on the same level of height. It just doesn’t make sense to get the rig even higher off the ground by placing blocks under all wheels. When leveling, stackable blocks need to be centered right underneath the middle of hubcap where you see the logo, circular ball, etc. This should help you properly level things while keeping the tire in the right place. Be sure to line up your level blocks in the exact place you plan to put them for the RV. This will allow you to know what they’ll need to be at height wise along with how far apart things will need to be between tires. If you line things up on the side, you can risk the wheel falling off the blocks. This could cause some pretty big issues. If you have two wheels next to each other, you need to be sure to have the RV leveling blocks stacked the same way. Except, you’ll need to be sure they perfectly under their respective tire. 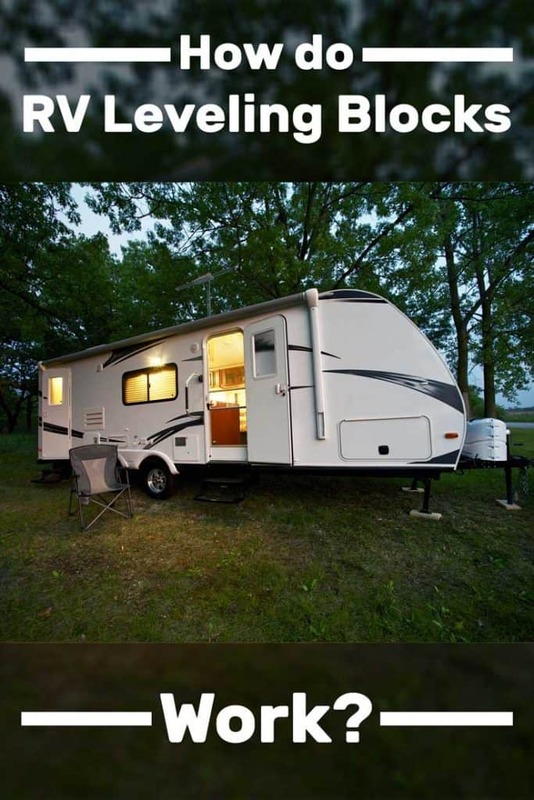 Until you gain enough experience, it’s wiser to have someone outside the RV to let you know once all of your wheels are where they should be. It’s only to easy not to get the wheels of the RV right in the middle of each leveling blocks pile. That’s it! If you have any other suggestions or tips regarding leveling blocks, let us know in a comment below! Previous PostHow to Use RV Stabilizer Jacks? Next PostHow to Install Rain Gutters in an RV?